Looks like this bad boy is coming to us in November. 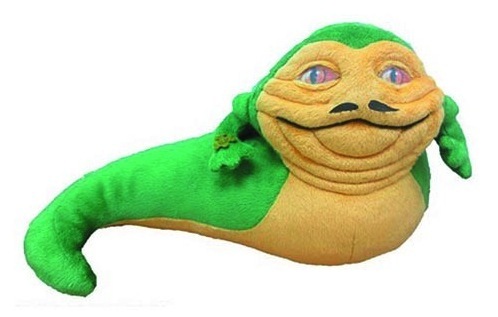 I’ve always said that it was surprising that they didn’t have a proper Jabba plush, considering that you can get plushes of just about everything these days. 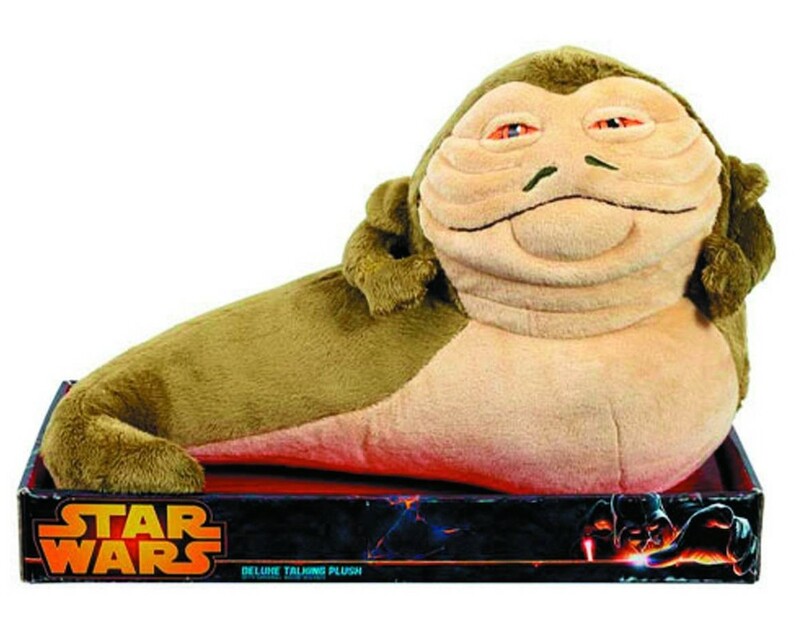 Sure, they’ve had a couple of very small ones (the “Star Wars Buddies” Jabba and the “Scruffies” Jabba), but not a proper sized plush, so this is exciting. It’s apparently 12″ long, which isn’t huge but is at least respectable. It even talks! It should retail for about $30. EDIT: It seems that the version above was just a prototype and that the actual product will look like the image below. I like the new version better for the most part, although it loses the good-natured smile from the first one.